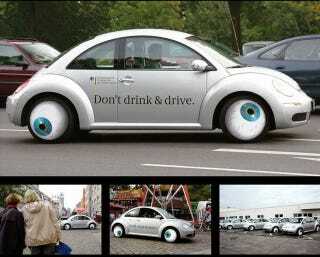 According to Copyranter, this VW Beetle is part of a German goverment agency initiative to reduce drunk driving around the many booze-fueled events in Deutschland. Why is the message in English? No clue.